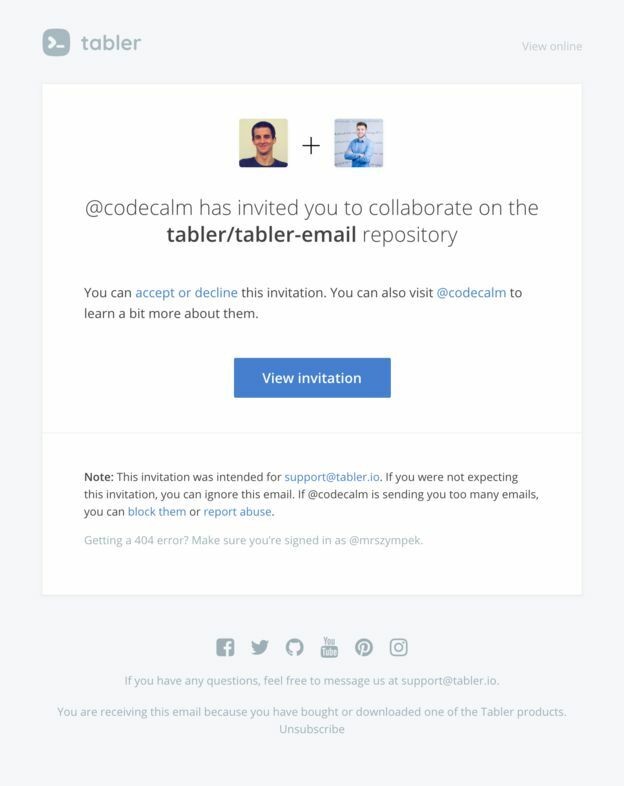 Email with invitation to use the service is sent when one user invites another one to it. This message usually includes a link through which user can join to a given service. There are some good practices you should hold on to while designing such a message. Remember that this email is the first contact of user with your service/application. The way it looks has a great influence on how the user will be perceiving your service. Don’t assume that anybody is expecting this invitation but rather inform who sent the invitation and to which service. By these means the email won’t end up in spam folder. Choose HTML message rather than plain text, it makes you look more professional. Test email which you would be sending on various email clients. You need to make sure it looks good on every possible device. Don’t use no-reply option in these emails. Invited user needs to have a possibility of contact so the best you can do is to set a reply-to with email of user who has sent the invitation. Don’t overcomplicate the content. It should be simple and straightforward. Provide information on who has sent the invitation. There’s a great chance that the invited person doesn’t know your service. However, they usually know a person who has sent the invitation, that’s why it’s so important to state who has sent the invitation. Briefly introduce your service. Provide one or two short sentences which would help in understanding what are the functions of your service. Include a short instruction on how to confirm this invitation. Most of the time it’s simply a link or a button, after clicking on which a site is opened, where user provides a password with which they would be authorising themselves in your service. At the end you can add a link to records as well as support email through which user can contact your service in case of further questions. Remember that this email is the first contact with your service. The way it looks will have a great impact on how user perceives your service. However, this is only one of a number of transactional emails which are accessible in your application. Next to it, you can make use of password reset email, invoice email as well as trial expiration email. All of these emails should be coherent, responsive and mobile-ready. For you to focus on your application instead of developing and testing email templates we have created Tabler Email in which you can find a set of ready to be used templates which can be easily customised according to your needs. Tabler Email includes over 54 ready-made, responsive and tested in over 70 email clients, templates.